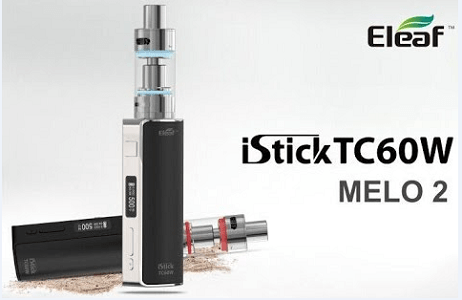 Eleaf has added a new model to their popular iStick family of mods, the iStick TC60W. They’ve packaged it with their Melo 2 Tank as the iStick TC60W Kit. And our friends at Toronto Vaporizer sent one for a Seven Report review. 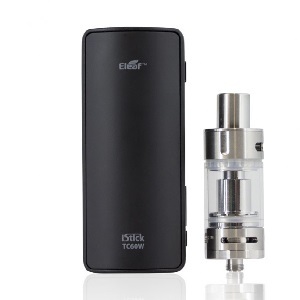 The iStick TC60W is powered by an external 18650 battery (not included). Open the magnetic battery cover by lifting up on it at the notch at the bottom of the mod. You can charge the battery while it’s in the mod via the micro USB port on the bottom of the mod using the included charging cable. Inside the battery compartment is a little hole just about the negative terminal. Poke a small hard tool into that hole to pop off the front magnetic cover. Eleaf offers multi-colored panels to personalize the iStick TC60W. The mod will fire Nickel 200 and Titanium coils with a resistance range of 0.05 – 1.0 ohm in temperature control mode and other coils with a resistance range of 0.15 – 3.5 ohm in variable wattage mode. The iStick TC60W has a wattage range of 1 – 60 watts in 0.1 watt increments. Its temperature range is 200° F – 600° F in 10° increments and 100° C – 315° C in 5° increments. There are three buttons on the iStick TC60W, a fire button (located above the OLED screen), a power/temperature adjustment button and a menu button. Turn the mod on or off with five clicks of the fire button. You can rotate the orientation of the display by 180° by pressing both the upside and downside of the adjustment button at the same time with the iStick TC60W turned off. To put the mod into adjustment lock mode press the upside and downside of the adjustment button. This will keep you from accidentally changing your power or temperature setting. To select your coil material, Nickel 200 or Titanium for temperature control mode hold in the menu button. Continue to hold the menu button to switch to variable wattage mode. In temperature control mode switch between temperature scales scroll the top or bottom of one to reach the other. Enter or exit stealth mode by holding in both the fire and downside buttons simultaneously. In stealth mode when you vape the OLED display will stay off. To see current settings in stealth mode press the fire button once. You can adjust the maximum wattage in temperature control mode by holding in the menu button and pressing the upside or downside button at the same time. When you attach a new coil to the iStick TC60W it will prompt you choose “New Coil Up/Same Coil Down.” When you choose “new coil” you’ll want to lock in the base resistance of the coil. Do this by holding in the fire button and the upside button simultaneously. A lock icon will replace the ohm icon when you have successfully locked in the base resistance. Be sure to unlock the resistance when switching coils. The Melo 2 has a 4.5 ml capacity. You fill it by opening the ejuice port at the top of the tank. Eleaf suggests holding the tank sideways when filling it and closing the airflow ports. To adjust the airflow twist the collar at the base of the tank to reveal or hide more of the airflow ports. Eleaf includes three EC coils, a 0.3 ohm Kanthal coil (installed) with a suggested wattage range of 30 – 80 watts. There’s also a 0.15 ohm EC TC-Ni Nickel 200 coil and a 0.5 ohm EC TC-Ti Titanium coil. Both of the temperature control coils have a suggested max wattage of 60 watts. When using a new coil be sure to prime it and allow it to soak in ejuice for a few minutes before vaping. I took out the EC Kanthal coil and installed the EC TC-TI coil and primed it with Boss Juice from 7 Seas E-Liquid and filled the tank and allowed the coil to saturate for about 10 minutes. I set the temperature to 350° F and took a first vape. The vapor and flavor production were pretty nice, especially for that relatively low temperature. Next I bumped the temperature up to 380° F, then 400° F and finally 420° F. The vapor and flavor increased at each new setting, but the vape remained smooth throughout. 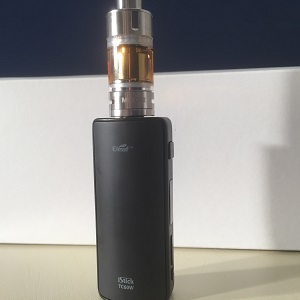 I’ll be using the Eleaf iStick TC60W Kit extensively over the next week or so and then will post a full, in-depth review. If you follow Seven Report on Twitter or Facebook you’ll find out that way when that review is live. Thanks to our friends at Toronto Vaporizer for supplying the Eleaf iStick TC60W for a Seven Report review. To find out more about the Eleaf iStick TC60W or order one for yourself click here. 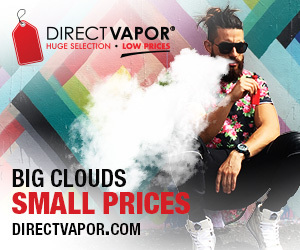 To learn about products available through Toronto Vaporizer click here.